Yay for me! Despite the rigours of launching and managing my freelance copywriting practice, as well as the demands of being a working home-dad, I actually managed this week to finally finish the next board in the Sea Dragon stables. 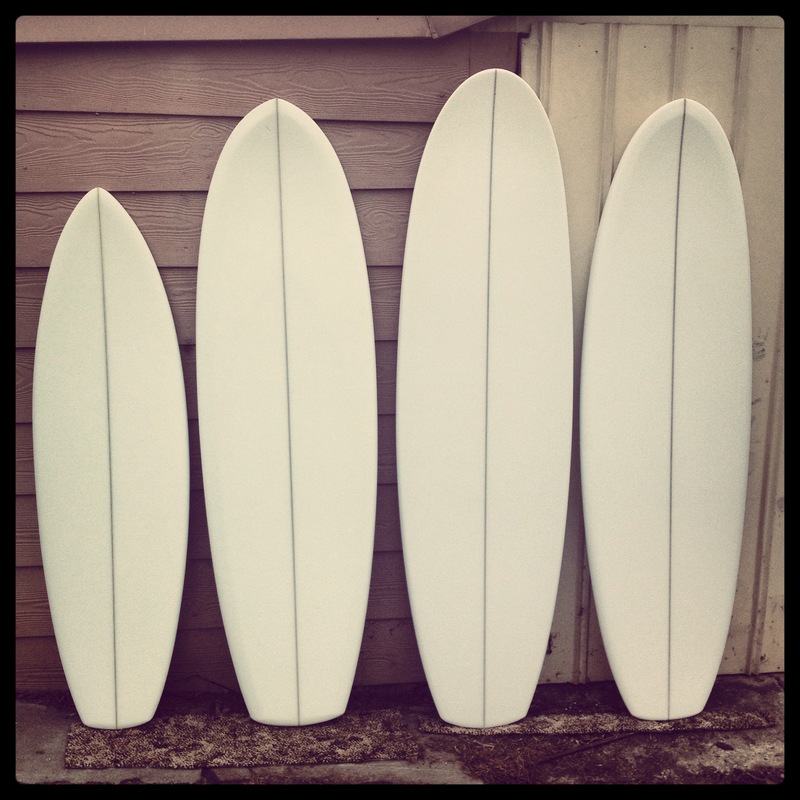 Sea Dragon Surfboards quiver ready for glassing. This one is for a bloke here in Adelaide who hasn’t surfed before, so it’s been designed with that in mind. There’s plenty of volume, via width and thickness, for bouyancy, and this has been pretty evenly distributed throughout the length of the board to aid stability. The rails start off pretty sharp back at the tail then transition through to a 60:40 down-rail profile from between the feet to about halfway between the front foot and the nose (if that makes any sense). There’s nothing fancy going on underneath, just a basic flat bottom with no concaves, V or other modifications. And it’s set up, as you can see, with a standard thruster fin configuration. 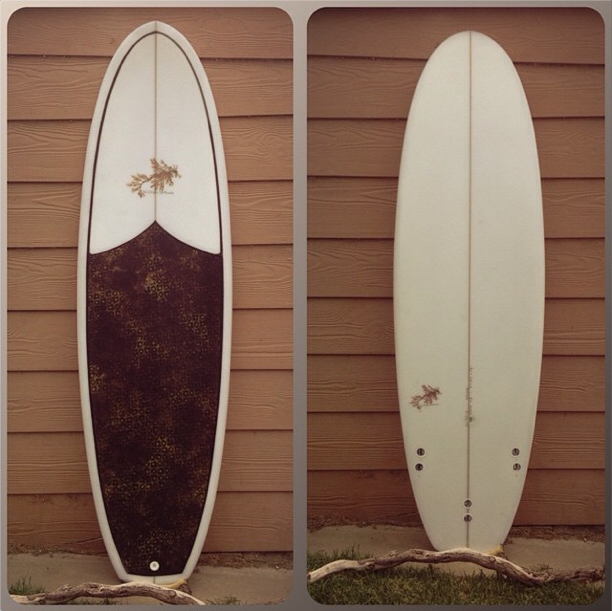 It won’t be overly loose or twitchy at all, but that’s not what this guy is looking for in a first board. This one’s all about feeling confident just getting in the water and feeling the water moving around under it. Mind you, I’m really digging its lines and I’d love to take it out for a bash before I hand it over. The buyer is a mate, and the board comes with the promise of a couple of surfing lessons to go over the basics, so I will definitely take the opportunity then to put it through its paces. Next Post How did I miss this?